Completed 2005. 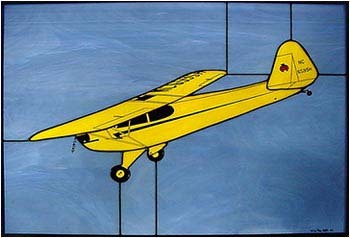 A basic ‘plane profile’ of a true classic of the air, the Piper Cub. This panel was a gift to a pilot-father.